Growing up in Yorkshire, the Brontës represent an inescapable literary heritage that has captured the lives and hearts of both old and young. Work placement here at Chol Theatre accompanied by a trip to Haworth, gave me an in-depth understanding to the sisters’ personalities and feelings, but it also showed me how the Brontës opened the doorway to many themes and ideas that circulate our literary world today. Gothic splendour mixed with passionate romance, or adventure and action. The sisters’ novels and poetry, as well as their own make belief worlds of Gondal and Angria, have given so many modern writers ideas and thoughts on their own work. It’s fascinating to see how that even after nearly 200 years since the Brontës, their thoughts still guide our imaginations through their small and inviting world. With technology becoming a big part of our lives, Brontë books and poetry are becoming worryingly unread and unappreciated. However, the youth of today can appreciate this 200 year legacy through kindle books, apps and online information, all available for the ever-connected teenager. Films and audiobooks are also available on iTunes. 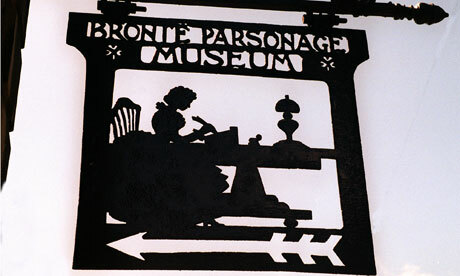 The access to Brontës’ material is as easy as checking Facebook or Twitter. We can’t let this legacy die and with such access it seems impossible.